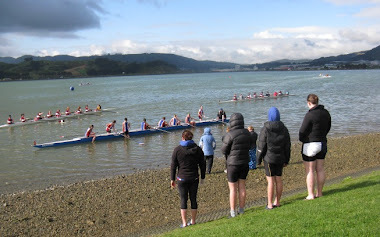 Porirua Rowing Club: The rumours are true! Porirua rowers now hold two New Zealand Masters titles. That's a great start to the season. Meanwhile, our new recruits have boosted numbers out on the water in recent weekends - topping 30. Daylight saving time combined with some calm weather has given us ideal conditions for evening training. "It wasn’t our tidiest race, it wasn’t our best race - but it’ll do"
- NZ rower Hamish Bond after winning gold in the men's pair with Eric Murray at the London Olympics 2012.